Effective OHS Professionals and Practitioners require BOTH education AND experience. In Australia OHS education is provided through the Vocational Education and Training (VET) sector and through the Higher Education or university sector. The Safety Institute of Australia professional certification program specifies VET qualifications for Practitioner certification and Higher Education qualifications for Professional certification. What is the basis for this decision? Professionals requires a conceptual knowledge base with a strategic design emphasis which also includes technical development. Such education is usually provided through the Higher Education or university sector. How does education through the twos sectors differ? The Australian Qualification Framework (AQF) defines the purpose, level of complexity of knowledge and skills and the way in which the knowledge and skills should be applied together with the typical duration of learning for each qualification level. VET qualifications for OHS are provided at AQF 3 ,4, 5 (Diploma) and 6 (Advanced Diploma). Higher Education OHS qualifications are at AQF 7 (Bachelor), 8 (Graduate Diploma) and 9 (Master). VET training does not have entry requirements, has an industry focus and is delivered by training organisations registered with the Australian Skills Quality Agency (ASQA). RTOs deliver training as defined in nationally approved qualifications and competencies, where assessment focuses on demonstrated skills. While the AQF sets recommended periods for duration of learning from 6 months for Certificate IV to 1.5 to 2 years for an Advanced Diploma, VET qualifications are frequently delivered over much shorter periods and recognition of prior learning may further reduce the learning period. VET trainers and assessors are required to have the competency in which they are training, industry experience and qualification in VET training/assessment. Entry to Higher Education usually has specific entry requirements and is delivered over a specific time frame that complies with the AQF. Learning focuses on the development of technical knowledge together with and complex cognitive processing to support lifelong learning. While assessment addresses knowledge and skills the focus is on integration to develop new knowledge to inform practice in a range of environments. Learning and assessment is usually delivered by people considered expert in their field and likely to be involved in research. While the content of qualifications must address a certain core the approach and emphasis can be determined by the university. The following table presents the key differentiating features of each OHS qualification. Certificate III in WHS 3 Technical and procedural knowledge and skills to undertake routine tasks usually in predicable and stable contexts Not stated Suitable for people who take on OHS responsibilities in addition to their main duties. Certificate IV in WHS 4 Technical with some theoretical knowledge to undertake routine and non-routine tasks in known or changing contexts within established parameters 0.5-2 years* Suitable for people working in OHS in addition to other duties or who are seeking to develop into an OHS practitioner role. A number of units are pre-requisites for the Diploma in WHS. Diploma in WHS 5 Technical and theoretical knowledge together with a broad range of skills to solve sometimes predictable and complex problems in known or changing contexts within broad but established parameters 1-2 years* Suitable for people who work in an OHS Practitioner role coordinating and maintaining the OHS program at a site/SME. Minimum required qualification for certification as an OHS Practitioner. Advanced Diploma in WHS 6 Broad technical and theoretical knowledge together with a broad range of skills to solve unpredictable and sometimes complex problems in contexts subject to change within broad parameters 1.5-2 years* Suitable for people working in higher level OHS Practitioner roles to coordinate, facilitate and maintain the OHS program in an organisation. Professional development stream for Certified OHS Practitioners. Bachelor OHS/WHS 7 Broad and coherent body of knowledge together with well-developed skills to provide specialist advice and functions in contexts requiring self-direction 3 years (EFT) Universities will have entry requirements. Suitable for those wanting to be fulltime OHS professionals providing specialist advice in contexts requiring initiative, judgment and self-direction in planning, problem solving and decision-making, often working in collaboration with other professionals. Meets qualification requirement for Certified OHS Professional. Suitable for those who have previous qualifications in a range of disciplines and, preferably, experience in OHS practice and aspiring to a full time OHS role who can demonstrate autonomy, well-developed judgement, adaptability, and responsibility. Suitable for those who have previous qualifications in a range of disciplines together with experience in OHS practice and aspiring to full time OHS role at a senior management level who can demonstrate creativity, initiative in novel situations and a high level of personal accountability and autonomy. Meets qualification requirement for Chartered OHS Professional. 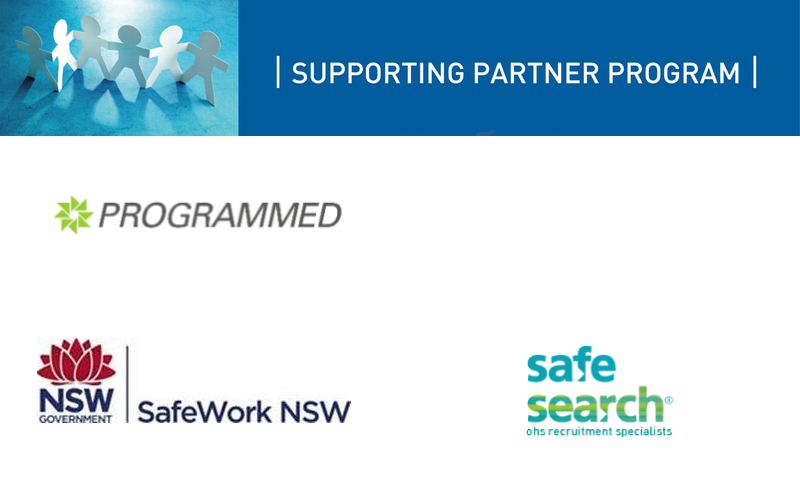 How well do these qualifications prepare OHS Practitioners and OHS Professionals for work? Many education providers talk about ‘work ready’ however no qualification can produce graduates who are the complete, consummate practitioner or professional. This is why many professional bodies provide mentor support and companies have graduate programs. By their definition, VET trained practitioners should have well developed practical skills which should have been assessed in work-based environments. However, the tendency for online delivery of VET training and assessment and other issues identified with training and assessment practices casts some concern over the reliability of the practical, work readiness and OHS expertise of the graduates of some VET OHS providers. qualifications will have previous workplace experience these graduates may move more quickly to operate as effective, independent professionals. Do these qualifications prepare people for the rapidly changing context of work and changes in OHS knowledge and thinking? Technology and how it is used in the workplace, in communication and in managing data is creating rapid change in workplaces, work relationships, and work itself. These changes will impact on people, jobs, associated hazards and how safety and health will be managed. Technology will also change how OHS advice and services are delivered. While there is currently much discussion as to what this future might look like, nobody can predict this with any certainty. Can education prepare OHS Practitioners and Professionals to work in such environments? The learning outcomes for VET education define skills that the OHS Practitioner should be able to demonstrate with some underpinning knowledge supporting the skills performance. These learning outcomes are developed through in-depth consultative processes with industry. The focus is on what industry sees as their needs. The consultation usually has some consideration as to future needs but this is limited by the perceptions and foresight of those consulted. The content and teaching focus for university OHS qualifications is determined by the teaching faculty, who are usually involved in research, and informed by an industry and professional advisory committee. These groups also have the issue of a limited view of the future. However, as university education is/should be built on the principles of critical evaluation of information, reflective learning, creativity and adaptability as part of life-long learning these graduates should be more capable of adapting to new paradigms of work. University graduates are also likely to take on further study. Which OHS qualification is the most appropriate? Australia needs well qualified OHS Practitioners and well qualified OHS Professionals. Thus we need high quality VET education and we need high quality university OHS qualifications. Which qualification is the best for you will depend on whether you see yourself as a Practitioner or as a Professional. It will also depend on your previous education as there are entry requirements for university programs. How can we ensure high quality OHS education? Under Australian government regulated processes managed through the Tertiary Education Standards Agency (TEQSA), universities are self-accrediting bodies. This means that they can develop and approve their own programs. As with many professional bodies, the Safety Institute of Australia, through the Australian OHS Education Accreditation Board, provides professional accreditation for university level OHS education. (link to About us) Accredited programs must meet a range of criteria addressing educational standards and OHS content as well as annual reporting requirements. (See links for criteria 2017 under Providers.) See list of accredited qualifications (on home page) . Australian Skills Quality Agency (ASQA). In response to wide spread concern about the quality of VET education the Australian Government has undertaken a major review of the VET sector and is implementing transformational change. The Safety Institute of Australia has contributed to the review and is having ongoing discussions directly with government on the issue. The Safety Institute of Australia has a representative on the Business Services Industry Reference Committee (IRC) which is currently the training package covering WHS VET qualifications. The SIA is monitoring the change process to ensure that the outcomes support quality WHS training. Should the government review outcomes not fully address the current concerns for WHS training the SIA will take further action to recognise those VET training organisations that do meet the quality criteria and so provide confidence in the quality of training to potential students and employers. What is the link between accreditation and certification? Education programs or providers are accredited; people are certified. Through the Australian OHS Education Accreditation Board the SIA provides accreditation of university level OHS professional education. Through a separate process overseen by the SIA Certification Governance Committee the SIA conducts professional certification of people who meet criteria covering education, experience and demonstrated capability. The two processes are managed quite separately. The link between the two processes is that those people who have completed accredited programs are deemed to have met the qualification requirement for certification; they still have to complete the experience and demonstrated capability assessments. See https://sia.org.au/certification for information on certification.